Pretty amazing news to me but perhaps not to folks that follow soccer more then I. It's just that no team hosting has ever missed making it out of the group stage. Amazing indeed. All African nations are struggling to make it out. Not sure what else to say about it. "England faces the slightly tougher task of beating Slovenia to guarantee its survival -- Slovenia will keep things tight, knowing that a draw will do, and will be reasonably confident of keeping the uninspired English at bay. But England hasn't failed to qualify for the knockout phase since 1958, and hasn't lost a third and final group game since 1950: the onus is certainly on Fabio Capello and his men to turn their form around, and fast." England is in a very tight spot. The thing that Georgina fails to mention is that England did not qualify three times since 1958. So, in a sense, that's not making it out of the group stage. England... has every right to feel superior. The press has every right to get on them. In their recored history the have a positive goal differential against everyone except Brazil and... and! Uruguay? That's a lot of history. Not just WC history. It is ALL history. 886 games to be exact. They have only played Uruguay 10 times though, in manufacturing you need twenty points of data. Brazil they have played enough times to say that they have their number. Even still, remarkable. Perhaps more then any other football team in the world. Especially when every other team wants to take you down. It's beyond impressive. Imagine if, say, the Redskins had a winning record against everyone in the NFL. It's something that has to sort of soak in for a while it's so remarkable. So... England, tomorrow. A tie? plausible. Very much so, in fact. But a loss is unlikely. AAAAAHHHHHH! I just jinxed them from winning. Or was it that I jinx the tie. Very well. 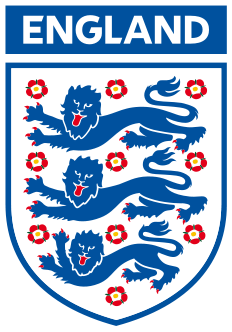 Just win England. and you got your wish...and your cake to eat, too. you couldn't have planned it to be more exciting. USA!